Hess needs no introduction but just in case, here's a blurb on their history from their website: The Hess Collection was founded by Swiss entrepreneur Donald Hess, who first purchased vineyards on Mount Veeder in 1978. Located in the historic stone winery originally constructed in 1903 by Colonel Theodore Gier, the winery first opened to the public in 1989. 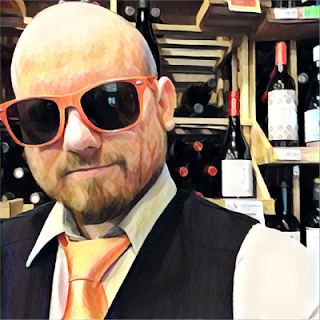 The winery has earned international recognition for its wine, culinary and visitor programs while providing free public access to Donald Hess’ extensive private contemporary Art Museum. Known as a leader in sustainable practices, The Hess Collection adheres to founder Donald Hess’ philosophy: “Nurture the land; return what you take.” The winery is best known for its flagship Mount Veeder Cabernet Sauvignon and Chardonnay wines and single vineyard designates from our estate vineyards in Napa Valley. 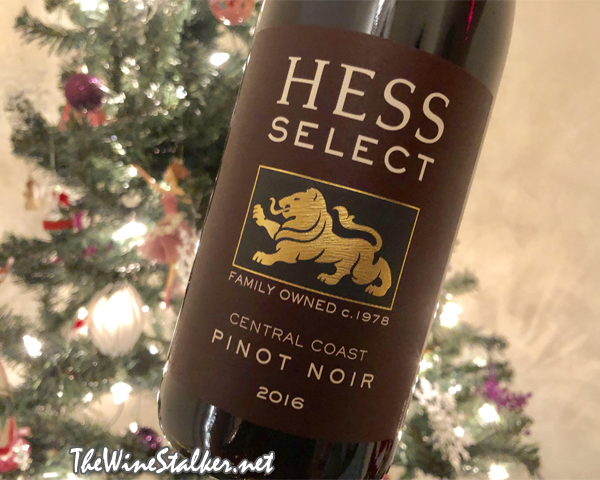 This week I am doing two quick reviews of Hess Select wines, starting with the 2016 Pinot Noir (and then the 2016 Cabernet Sauvignon). This is 100% Pinot Noir from the Central Coast of California that saw up to 12 months in neutral oak. Suggested retail is $20 but it's usually marked at $16 from what I've seen. The color of the wine is crimson with a very light density. There's aromas of black cherries, vanilla, chocolate, and copper. On the palate it's light to medium bodied with good structure and a nicely balanced acidity that picks up intensity on the finish. There's flavors of black cherries, plums, mocha, and vanilla. Then it finishes with raisin-like fruit and a hefty amount of mocha. This Pinot isn't going to blow you away but it's good and perfectly priced at $16 and a solid can't-go-wrong choice. There are a lot of other Pinot's in that price range that I would go to first in a wine shop, but this is more likely to be on the shelf of a random liquor store or on a wine list at a random restaurant. So keep in mind that this is one you can rely on for those situations, and you won't be disappointed for the money you spent.